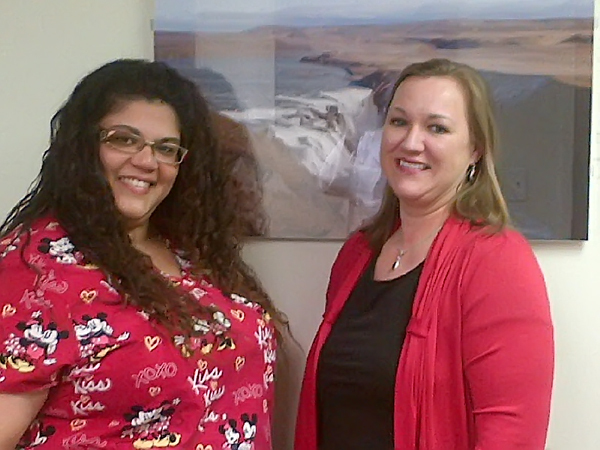 I highly recommend Dr. Elaina George for her whole experience and approach to care. I was very pleased with Dr. George and her entire staff. It was easy to schedule an appointment right away even though I was a new patient w/o a referral. I arrived a few minutes early with all my paperwork filled out and waited only about 5 minutes to see the doctor. I would definitely recommend Dr. Elaina George. I appreciated her thoroughness and time. She was great!! And I was literally seen Right away. She was very knowledgeable and so very nice. She fixed my ear right up. Thank you Dr. George. Dr. George is a true professional. Inquisitive without judgment, seeking to first understand you and your specific medical issues before moving forward. She spends a welcomed yet unexpected thorough amount of time with you. Dr. George is an excellent doctor. She is very thorough in her approach and I feel she will help me get the relief I have been searching for. Very thorough, this was my 5th visit to her over the years. Thorough examination of patient, background, existing medications, test, some immediate relief, doesn't get any better. Very professional, very thorough, explained all options/risks and follow up treatment. She has been my doctor for many years. She is very attentive to the patient and spends a lot of time with the patient. She makes sure that you leave her office understanding what you need to do in terms of taking medications and adjusting your lifestyle to make you healthier. I highly recommend her. It was one of the most sincere and straight up to the point visit. The best Dr so far that knows what she is doing.I am pleased with my decision to choose to go to her. Advanced training, technical skill and state of the art equipment are all indispensable, but they cannot replace importance of the personal touch. The doctor patient relationship is the foundation of good medicine. Dr George performs all patient examinations. She believes her most important tool is the ability to listen to her patient. He or she knows their body better than anyone, and the answer to their problem is often found by taking the time to listen to what he/she has to say. We believe that each patient is special and deserves individual attention and solutions. All options will be presented and when possible an approach to solve the underlying problem instead of treating the symptom will be presented. Towards that end Wellness and holistic treatments will be offered when possible to prevent disease; however, if necessary medical management will always be pursued prior to offering surgery. 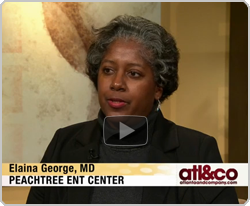 Dr Elaina George is Board certified Otolaryngologist who started Peachtree ENT Center with a mission to practice state of the art medicine that is available to everyone. Welcome to Peachtree Ear, Nose & Throat Center! We would like your experience at Peachtree ENT Center to be a pleasant one. 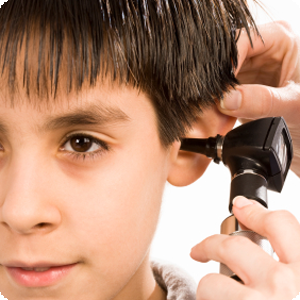 It is our mission to provide state of the art care without forgetting about your needs.